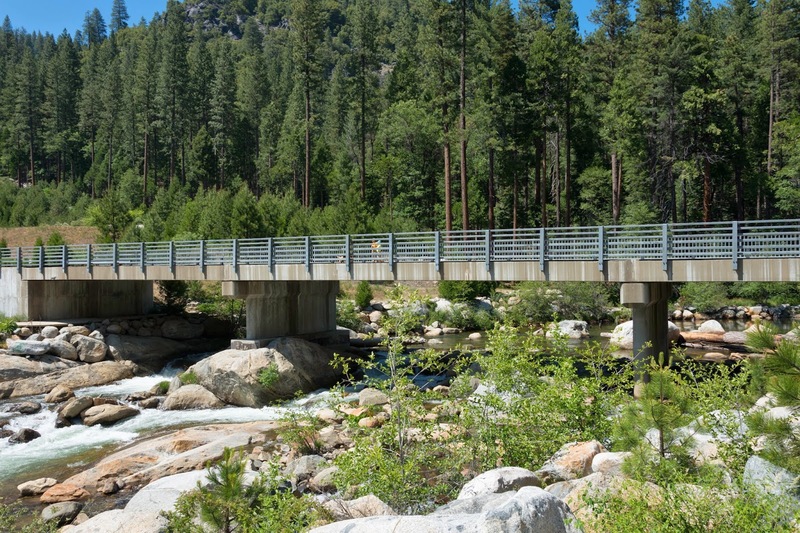 The Sourgrass Bridge is a three span concrete box girder bridge on wide pier walls across the North Fork of the Stanislaus River. The previous bridge was destroyed by a mudslide in 1997. It looks like the original piers may have been used for the new bridge or maybe floods are a frequent occurrence at this location. Tuolumne County, California Bridges: Sourgrass Bridge across the North Branch of the Stanislaus River by Mark Yashinsky is licensed under a Creative Commons Attribution-NonCommercial-NoDerivatives 4.0 International License.